With just over a month to go before the Moto G7 series makes its official debut at MWC 2019, a bunch of official-looking press renders have now leaked out alongside the lineup’s European pricing structure. In order to make room for this year’s fourth model, Motorola appears to be slightly readjusting its Moto G pricing model. Specifically, the entry-level Moto G7 Play is now expected to retail at €149 ($169) in most European markets rather than the €199 ($227) price point seen with last year’s Moto G6 Play. This move is rather impressive when performance gains are taken into account. After all, last year’s Moto G6 Play shipped with the Snapdragon 430 inside, whereas leaks point towards the Snapdragon 632 inside this model. Essentially, this would put the smartphone ahead of last year’s Moto G6 Plus in terms of performance and on par with the upcoming Nokia 6.2. 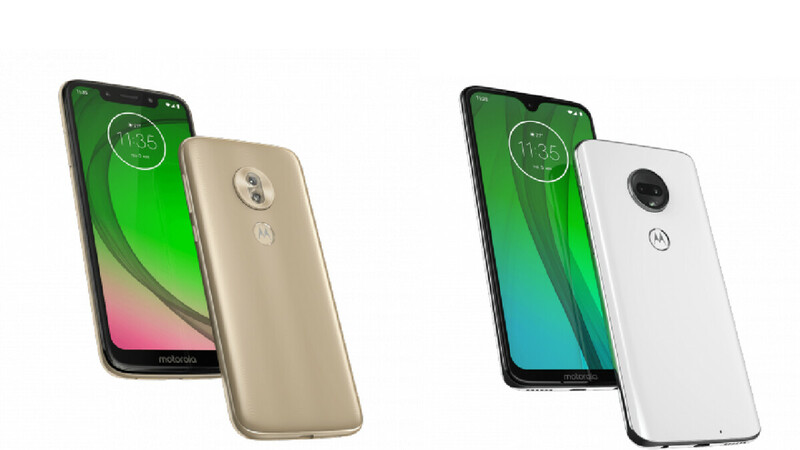 As mentioned above, the pricing adjustment allows Motorola to introduce a fourth model this year in the form of the Moto G7 Play. This is rumored to include the same Snapdragon 632 chipset as the Play model but also includes the benefit of a massive 5,000mAh battery. According to the report, it’ll retail at €209 ($238) in most European markets. Pricing information about the Snapdragon 660-powered Moto G7 and Moto G7 Plus was not specified in this particular report. However, it seems logical that Motorola will stick to its usual price points of €249 ($283) and €299 ($340) respectively. As mentioned towards the beginning of the article, this information was accompanied by a bunch of press renders which can be viewed below. The Moto G7 and Moto G7 Plus include waterdrop notches whereas the Moto G7 Power features a slightly wider alternative. The budget Moto G7 Play, on the other hand, gives Apple’s latest iPhones a run for their money with its even larger notch. Impressive move, Motorola! This is what and should have been the price of the G6 series. I remember it was Motorola with the original Moto G that started all the midrange craze being good enough devices. It's good that they have learned that consumers will STOP following you when you increase your price. Even Apple know this too well. I wonder if the finger print reader is still in the M dimple, that would be cool. I know not a lot of people are excited for anything Motorola, but as a G5+ and G6 owner looking to upgrade, I'm psyched.